Electric fences operate with electricity which is precisely their greatest advantage. At the same time, however, this is the element that requires the greatest effort. On the one hand, you get an insurmountable fence, as the electric shock provides an effective deterrent if the fence is touched. On the other hand, you need to make sure that the electricity is not wasted so that the electric fence remains fully operational. 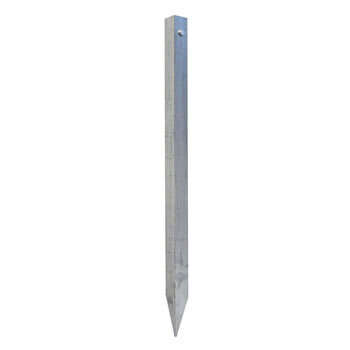 Grounding posts for electric fences can be useful in this respect. 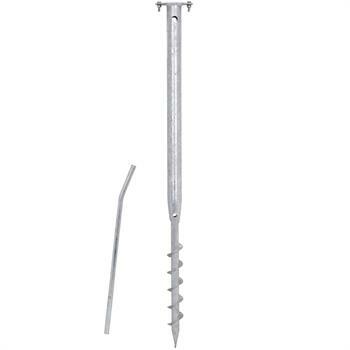 They come in various designs and can be coordinated with your particular electric fence and the surroundings. 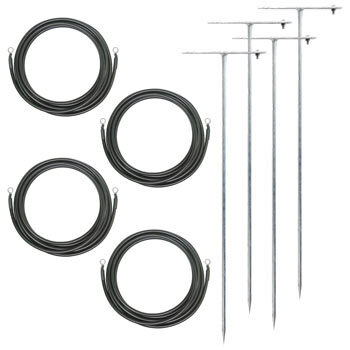 If you decide to buy an electric fence, you need to pay attention to every little detail to ensure that everything operates perfectly, and that the animals are reliably and safely fenced in (or wild animals are kept out). For instance, it’s important to ensure that the energiser is powerful enough to provide the entire fence system with a sufficient amount of electricity via the conducting material. No electricity must be allowed to seep out or fluctuate at any point along the fence as otherwise this could create dangerous weak spots and a loss of safety. A grounding stake with a lead out cable is connected to the electric fence system and ensures that, if the fence is touched, electrical energy will flow through the animal into the ground and back into the energiser. 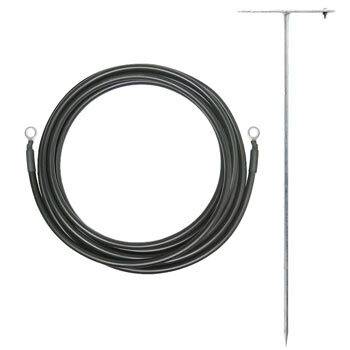 One grounding rod per electric fence is generally adequate if you have a smallish fence and favourable soil conditions which support the unimpeded flow of electricity. 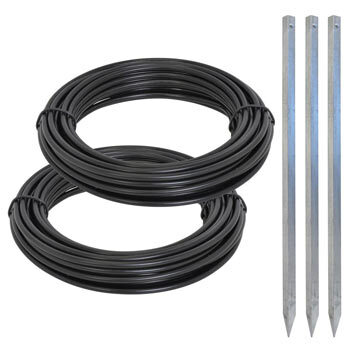 However, in cases of stony or dry subsoil, thick vegetation or a long electric fence with an extra-powerful energiser, you should use several grounding posts for your electric fence. 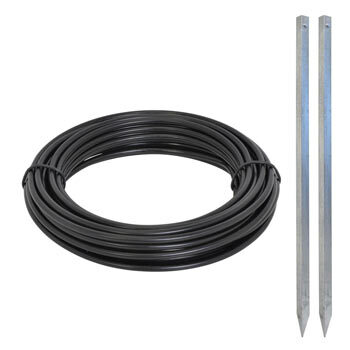 The prescribed or recommended number of grounding stakes for electric fences can often be found in the information material that comes with the energiser. 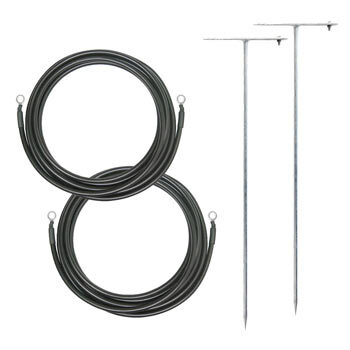 Fence owners are encouraged to regularly check the electric fence grounding for short circuits (at least once a year check), and to carry out measurements with the fence tester (digital voltmeter). 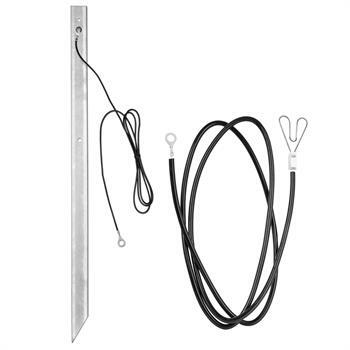 The grounding stake is made of metal and is hot-dip galvanised. 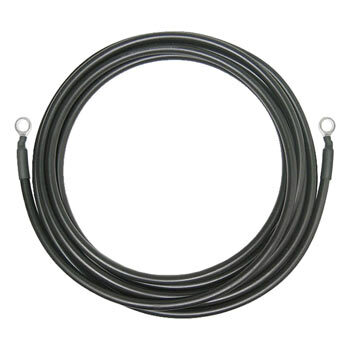 It is either delivered as a grounding post with a connector cable, or you will need to purchase a lead out cable separately. 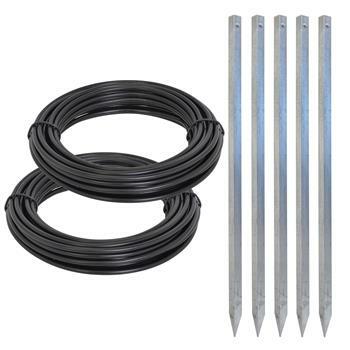 Both electric fence grounding posts and grounding post connectors can be ordered with various different designs to suit your fence system and the natural conditions. 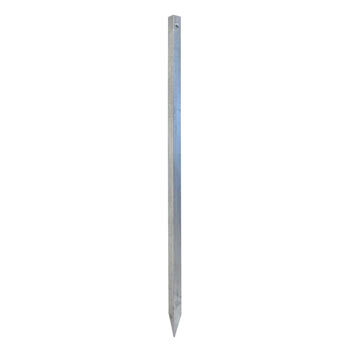 Choose between robust grounding stakes with a pointed angled profile or handy grounding stakes with a cross bar. The latter bring anti-theft posts to mind. 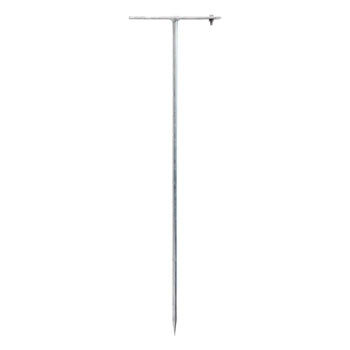 Pulling them out is child’s play and they are suitable, for example, for mobile electric fences or for use as additional posts.